Milan Fashion Week - Spring/ Summer '13 Favourites. Oh, Milan. You've done it again! Every season without fail, Milan captures and inspires me like no other fashion week. It's my fashion dream to attend MFW someday, as the majority of my favourite designers show there. 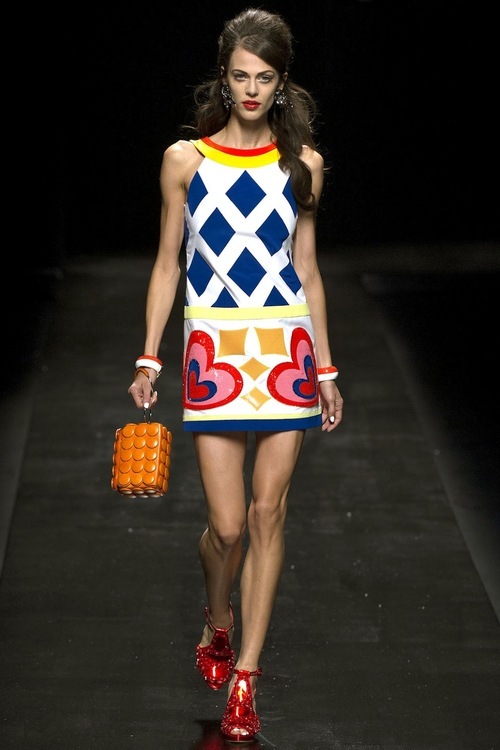 This season, DSquared came out on top for me, it was AMAZING! It reminded me of everything from Julia Roberts in Pretty Woman, to 90s supermodels - Naomi I'm looking at you. Leather, oversized chains, casual white t-shirts and show-stopping shoes (as per usual) - there's temptation to take out a loan for this whole collection. I'm totally kidding, but I shall be on the lookout for a heap of high-street knock-offs next season, for sure! 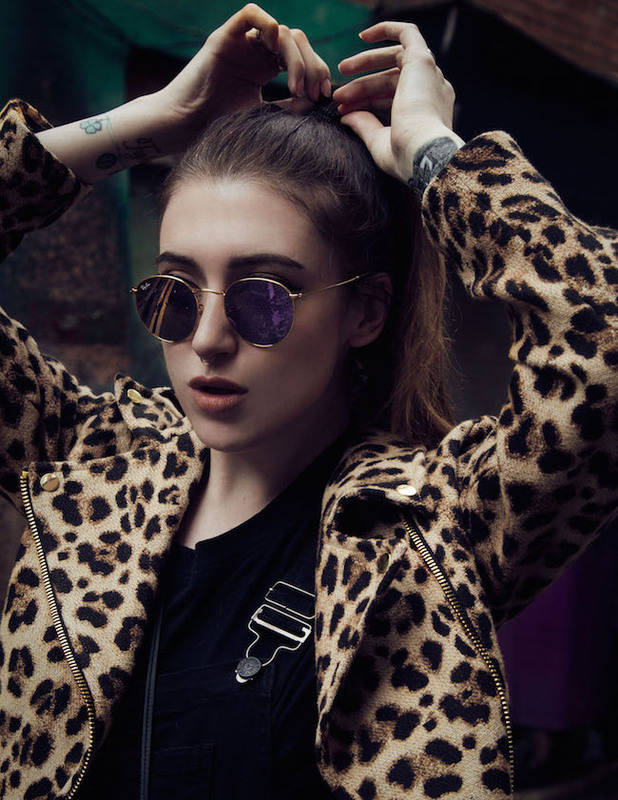 Although, I find I already own quite a lot of pieces similar already; leather dresses, oversized chains and biker jackets. The collection has inspired me to a T, and I'm already planning on wearing some of my DSquared-esque pieces in whole other ways for the coming months. 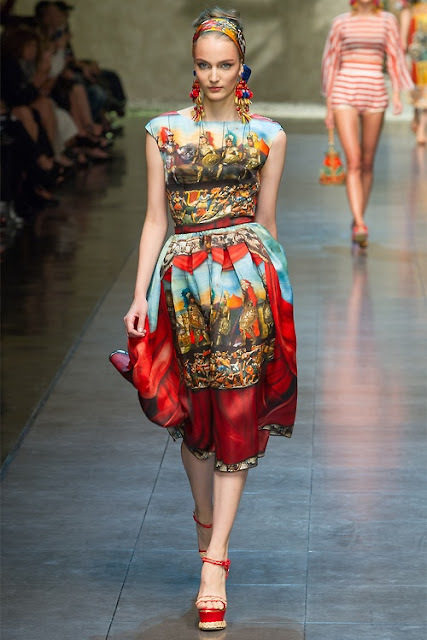 Dolce & Gabbana again captivated me with their Italian-inspired, arty and colourful collection. 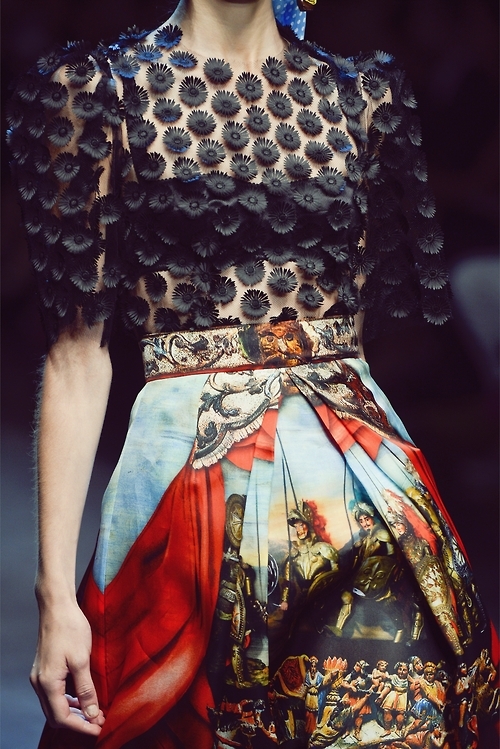 The Roman soldier print is stunning, and is definitely a fantastic move on from their Baroque-licious A/ W prints - FYI, Dolce & Gabbana's last collection is still my No.1 of all time, to date. That collection made me literally shed tears and my coverage for it ended up being my longest blog post to date! 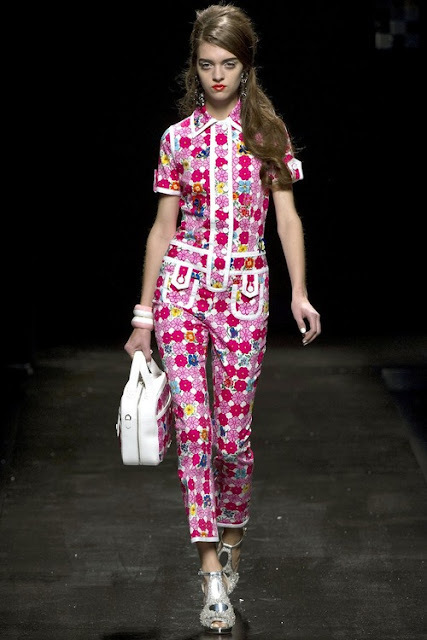 Moschino, alike to Marc Jacobs, embraced the sixties and monochrome stripes and patterns. Bottega Veneta's collection was ladylike at it's best, with figure-hugging dresses and beautiful detailing. It was hard to narrow my favourites down to four, but each of these collections has sent my brain in a frenzy with ideas. 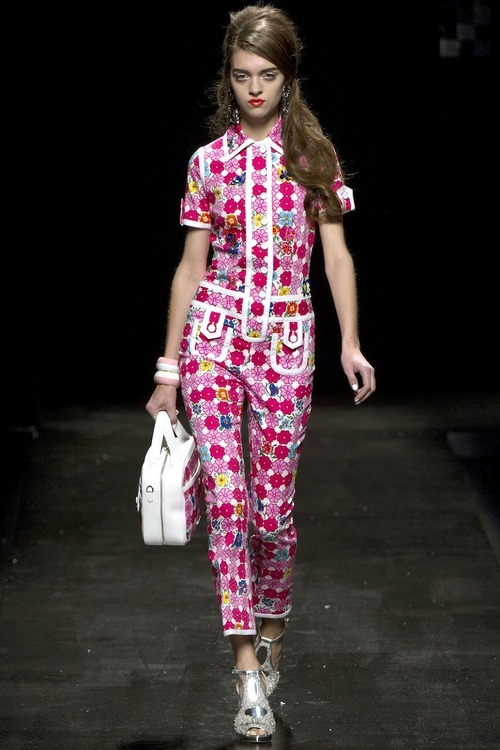 Milan Fashion Week yet again, has made me so very excited for Spring/ Summer 2013!